Discussion in 'Showroom' started by jubbalub, May 13, 2018. Wade through the water in the flooded caves of the Labyrinth Zone. Dangerous traps are littered throughout the maze. In Act 2, explore the ruins of an ancient civilization left undiscovered for many centuries. While you're marveling at the architecture, don't forget to grab an air bubble! Renegade, HyaDoki, HackGame and 14 others like this. This is so cool! If I ignore Hyrdrocity's existence, I can picture this as an actual level in the game. The music is fantastic and the mechanics are fun and thoughtful. I love that Act 2's background is based on the supposed beta background. For some criticism, 7/10 too much water. Just kidding. But in all seriousness, Act 1 is perhaps too faithful, and is slowed down quite a bit by its water sections. Act 2 makes up for this a lot, though. 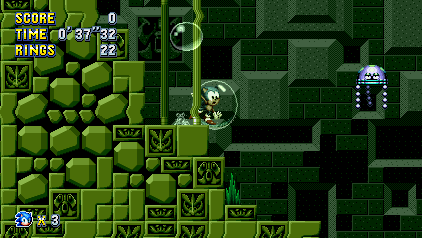 Also in Act 1, I don't like that a bubble shield is given so early on. Takes some of the threat away from the water section too easily. Lastly, I feel like the water level changes quickly and abruptly too often. In general, not a fan of the spinning spike balls. The lack of a chain makes it so that they are hard to see coming. There is a section in act 2 where I went through a pipe to the right, got shot up through a pipe upwards but ended up going up-left into the ceiling of the stage forever. Wasn't quick on my feet enough to get a screenshot. The bottomless pit section was a bit unexpected, that could have been a visible bed of spikes and the section would have been equally as interesting and less dickish. Overall, an excellent mod that I highly recommend. So, without having played the actual mod yet (I'm waiting until Plus comes out before I touch Mania again), is there anything in this mod that's only possible with Mania's engine, and not doable in a hack? HyaDoki, Pineapple Arse, HackGame and 3 others like this. It uses a lot of Hydrocity's assets, such as enemies and gimmicks, especially in act 2, so I imagine it would be pretty difficult to put in a hack. The levels are huge, as well; Act 2 took me 8 minutes to complete. So even if it wouldn't be impossible in a hack of one of the genesis games, it definitely wouldn't be practical. Most of the gimmicks in Mania can be replicated in hacks, however. The question asked was about things that would require Mania's engine in order to pull off. To which, I believe the answer is no. I'd say the remix it uses, but Markey's crystal-clear DAC says otherwise. Now that I have Mania for PC; I can give this a go! 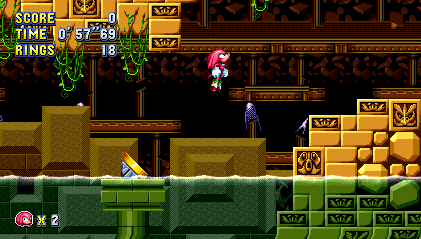 is there anything in this mod that's only possible with Mania's engine, and not doable in a hack? AsuharaMoon, TheStoneBanana, Natsumi and 4 others like this. As I had brought up in the comments of the "Let's Try" program on RedHotSonic's channel, the biggest notable attention to detail is that Act II of Labyrinth Zone appears to have three Background Layers: This is unique in the regard that Hydrocity Act II only has two layers by default (at least in Version 01.03.0829 of Revision 03, can't vouch for 01.03.0831 or 01.03.0919 due to me not working with those builds), and up to now, no publicly known major zone mod of Hydrocity has three or more layers for the background art, which makes me extremely curious as to how you did this. Assuming that you did add a new background layer, which utility or utilities did you use to include it, or was this clever background editing in Maniac Editor: OtherworldBob Edition to emulate the visual feel of three layers while still being only two? TheInvisibleSun and Calvin like this. The latest fork of Maniac lets you add and remove layers and alter their scrolling, essentially allowing for completely custom backgrounds. Ah, very superb and good to know indeed, I'll have to upgrade to the most recent version of the editor then; I had been running on the build of the editor from Early December of last year (for those curious, the New Years Day of 2018 build started giving the ability to add new background layers, according to the Github releases) and hadn't been following the updates to it since then, so it's good to see that more has been done with it since I last saw it in action. Thanks for the heads~up on this! -Act 2 feels a bit long; It would also be nice to have more of the 'speedy' sections that you started to include. 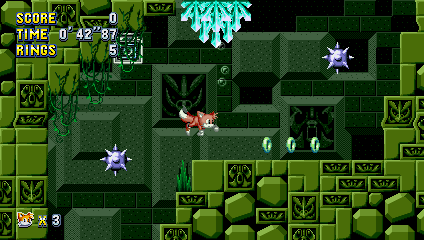 It would be rather cathartic to see Labyrinth Zone, an infamously slow level, to be a little faster in Act 2. That said I do appreciate the loop art. -The bottomless pit near the end of Act 2 is a bit jarring, perhaps there could be some kind of warning, or design alternative?